Keep your tractor engine running smoothly with our huge selection of tractor engine parts. 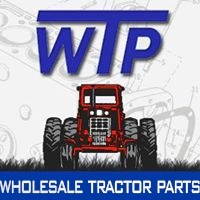 We offer a wide range of tractor engine parts at affordable prices so that you do not have to break the bank to keep your tractor engine running. We offer internal tractor engine parts, external tractor engine parts, and tractor engine overhaul kits. Our internal engine parts include cam and crankshafts, cylinder heads, cylinder parts, and much more. Our external engine parts include flywheels, turbos, oil coolers, and heaters. We also offer a wide range of tractor engine overhaul kits, including valve train kits, EOKS kits, BIF kits, BEK kits, and others. We are your source for all of your tractor engine part needs.